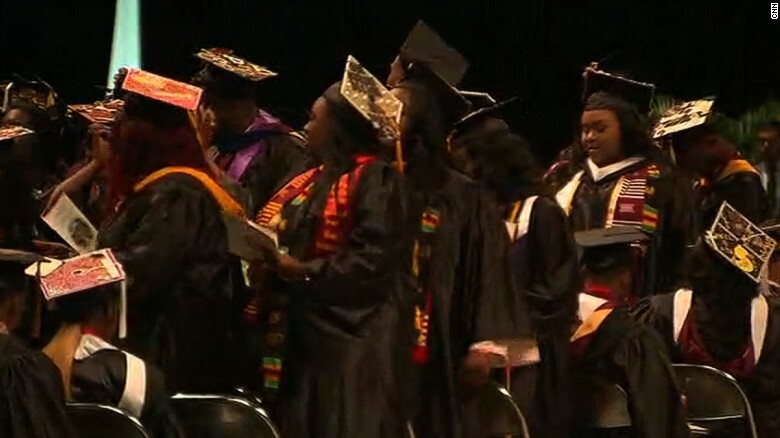 Education Secretary Betsy DeVos was the target of relentless disrespect from students and alumni of Bethune-Cookman University ever since she was declared as the school’s commencement speaker and it reached a most immature and childish level Wednesday. DeVos was the victim of endless booing throughout her whole graduation address at Bethune-Cookman, a historically black university located in Daytona Beach, Florida. Approximately two minutes into DeVos’ speech, the boisterous protests became so incessant that Edison Jackson, the college’s president, did the respectable thing and stepped in to put an end to the childish political antics and threatened to cancel the commencement ceremony and just mail the graduating students their diplomas if they didn’t start shaping up and acting like adults. “Choose which way you want to go,” he said severely before stepping back. It apparently had no effect on the spoiled snowflakes because as soon as he was done, the boos started right back up again. So, despite Jackson’s demand, the complaining went on. At some points, it was almost hopeless to hear anything the secretary was saying over the screaming and some students had the corny idea to stand with their backs to DeVos for the rest of her speech…oh, wow. These kids sure did show her. Yeah. It’s a commencement speech. Not a question and answer session. Your job is to preach the Gospel of Christ. To preach peace, charity, mercy and love. What are you doing? Not your job, that’s for sure. Regardless, DeVos pushed through, presenting her prepared speech over the clamor of jeers, boos and screams. 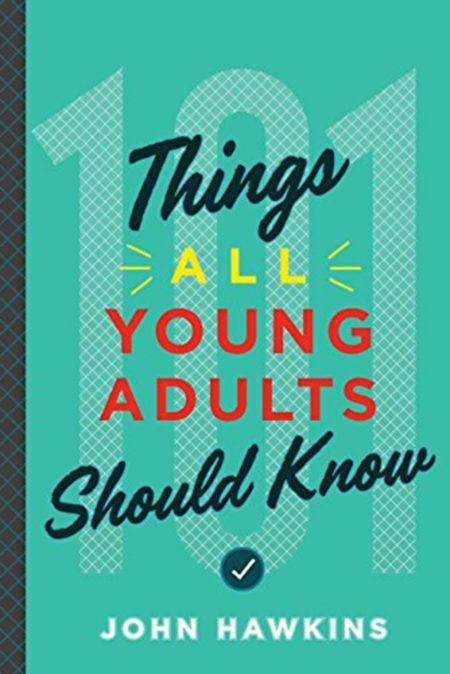 In John Hawkins’ new book, ‘101 Things All Young Adults Should Know’, he teaches in number 16, “Be nice until it’s time to not be nice.” DeVos was unable to reason with spoiled brats in the crowd. Decorum was not on the agenda. What should have happened was a followup on the threat to shut down. But just like this generation of kids, they never have to deal with consequences.